For most, it will be a relief when Philippe Coutinho’s move to Barcelona is officially completed and the speculation stops. Until then though, it goes on. As noted by BBC Sport, the Catalan giants made three bids for the Brazilian international over the summer, but ultimately they couldn’t reach an agreement with Liverpool over a transfer fee. In turn, they were forced to abandon their hopes of signing him in that window, but it’s been widely speculated that Barcelona will return for Coutinho in January. 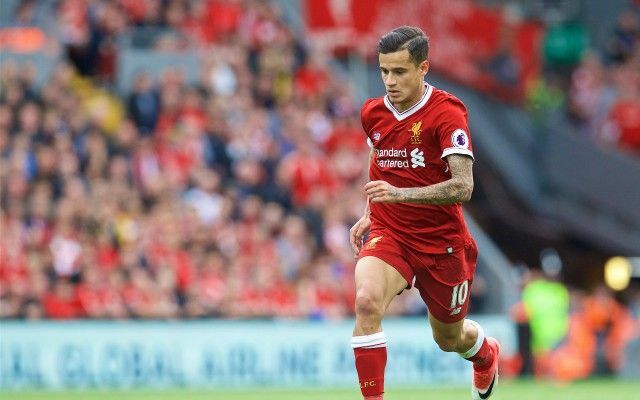 With the rumours continuing ever since, Diario Gol report, as re-reported by The Express, that Coutinho is making plans for a move to Spain as he has instructed those close to him to look at properties for him to move into with homes close to Luis Suarez and Lionel Messi specifically mentioned as an area of interest. If true, this is a major indication as to where the 25-year-old’s head is at, as ultimately, you don’t start looking for homes in a different country if you don’t seriously intend on moving there. However, as was the case all summer, nothing will materialise unless the two clubs can reach an agreement over a transfer fee, and up until now, there has been no such deal struck. In that sense, Coutinho deserves plenty of praise as he hasn’t let the outside talk affect his performances on the pitch, as he has continued to play an integral role for Jurgen Klopp’s side. After bagging 14 goals and nine assists in 36 appearances last season to continue to showcase his quality, he’s got tallies of four goals and three assists in nine outings so far this year, as he has successfully worked his way back into Klopp’s plans and put the transfer talk to the side. Nevertheless, when the January transfer window opens for business, it’s more than likely his name will be in the transfer gossip columns, as it already is, and it remains to be seen whether or not he finally gets his move to Barcelona who evidently see him as an integral part of their plans moving forward given their willingness to continue to push for his signature.